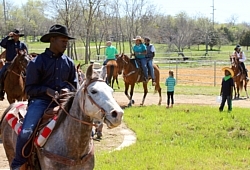 The Texas Horse Park was unveiled to more than a thousand visitors at a community event held on Saturday, March 28. The event included an opening ceremony with master of ceremonies Dale Hansen, WFAA Sports Director; presentation of colors by the Girl Scouts of Northeast Texas; the Dallas City Council and "Equine Rhythm" Sculptor Curtis Patterson. 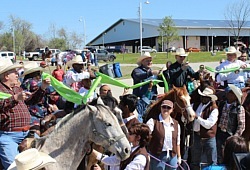 Dallas City Councilmembers officially welcomed guests to the facility with a ceremonial ribbon cutting on horseback. Visitors enjoyed the sights and sounds of horses and ponies, at the new facility. Guests also toured the facilities of non-profit operators, Equest and River Ranch. Other event activities enjoyed by families and kids were the mini horses, pony carousel, horse rides, Mariachi Nuevo San Luis Band, Los Gallos de la Sierra Band, Caballos de Baile (dancing horses Andalusians), Joe Luis Gomez y Su Show, Buffalo Soldiers, Cowboys of Color/Pony Express, Grupo Danza (dance group), and Horses Charros Centenarios. Sculptor Curtis Patterson, of "Equine Rhythm" was also on hand to greet guests and take photos. 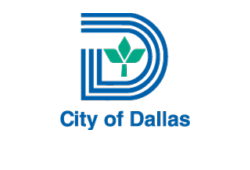 City departments provided information on City programs and services. Trinity Trudy, mascot of Dallas' storm water management, mingled with guests to promote storm water pollution prevention. The new state-of-the-art equestrian facility will be a gateway to a world of nature and riding adventures. 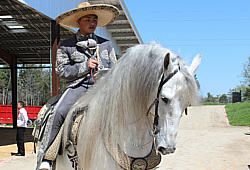 Visitors will enjoy a wide range of equestrian-based events and programs. Equest will offer out-patient doctor prescribed Hippotherapy programs for physical therapy requirements and occupational therapy. Equest also offers therapeutic programs for active service members and honorably-discharged veterans. River Ranch will focus on trail rides, hay rides, riding lessons, special event rental, and seasonal arena programs for the general public. Scholarship opportunities are available with both non-profit operators. Heeled shoes are encouraged for horseback riding, no outside horses, dogs or other pets allowed at the Texas Horse Park. For more details visit texashorsepark.com.